Some people just don’t dig a recognizable bag, and that’s fine; most brands produce lots of bags that don’t make a big enough splash to draw huge amounts of attention from passers by, so flying under the radar and still maintaining a high standard for your bag collection is always totally possible. It’s been hard lately if you’re a Proenza Schouler fan, though. All of the brand’s PS1 styles, plus its PS11 shoulder bags and clutches, are hugely recognizable, despite the lack of actual logos or monograms. What are the It Bag-averse to do? Proenza would like to answer that question with the Proenza Schouler Book Bag. 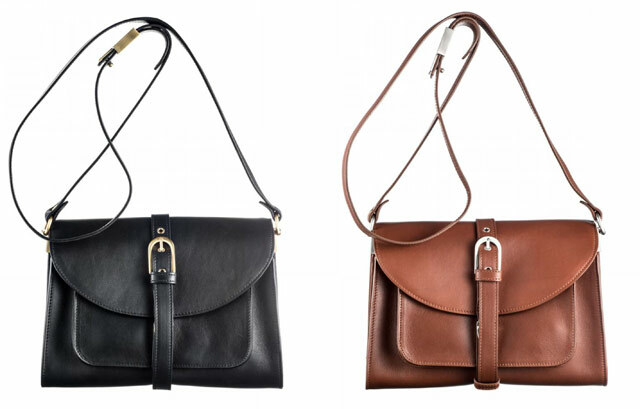 Available only in the brand’s online shop, the bag features…a buckle! A buckle that looks like all the buckles you’ve seen before, against a background of neutral leather. It’s a Proenza bag for people who don’t want 99% of people to know that they’re carrying Proenza. I have the luck of being in a job that not only allows me to buy and carry expensive, recognizable bags and accessories, but that downright encourages it. Not everyone has such a relaxed workplace, though, particularly those who work in the sort of high-powered corporate, legal or medical jobs that most often afford their workers the kinds of salaries necessary to buy luxury goods. For those occasions, this bag is perfect – nondescript, totally professional, neutral, not obviously branded. It’s an everyday bag for a woman whose job requires her to wear hosiery if she chooses to wear a skirt, and there’s more of those ladies out there than you’d think. Buy through Proenza Schouler for $1550.